· Bachelor of Science, Seton Hall University, 1990. · 2003-Present Coach - PDA Pride ('90/'91 Girls). · 2003-2004 Coach - PDA Fury ('88/'89 Girls). · 2002-Present Associate Head Coach - Rutgers University Women's Soccer. · 2000-Present Director of Coaching - Players Development Academy. · 2000-2002 Assistant Coach - Rutgers University Women's Soccer. · 2000-2006 Coach - PDA Wildcats ('87/'88 Girls). · 1999-2004 Coach - PDA Torpedoes ('84/'85 Girls). 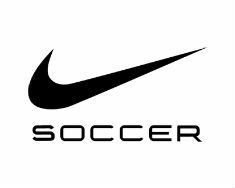 · 1994-00 Owner and Director - USA Premier Soccer Training. · 1994-00 Head Soccer Coach - Parsippany Troy Hills School District. · 1994-00 Head Coach - Wyckoff Torpedoes, 1981 Girls. · 1994-00 New Jersey ODP Head Coach, 1984 Girls. · 1994-00 Head Coach - MC Dynamo, 1982 Girls. 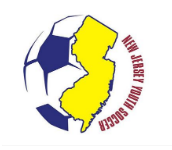 · 1995-00 New Jersey ODP Staff Coach. · 1994-98 Head Coach - Wyckoff Torpedoes, 1979 Girls. · 1991 Coach - Rutgers University. · 1990 - 1995 Semi-Pro-Kearney Scots of Garden State League/Lanzare League. · 1986 - 1988 Seton Hall University, 1986, 87, 88 Big East Champions and NCAA Soccer Final Eight. · US ODP National Pool (Under 19). · 1990 Inducted into Kearney HS Hall of Fame.